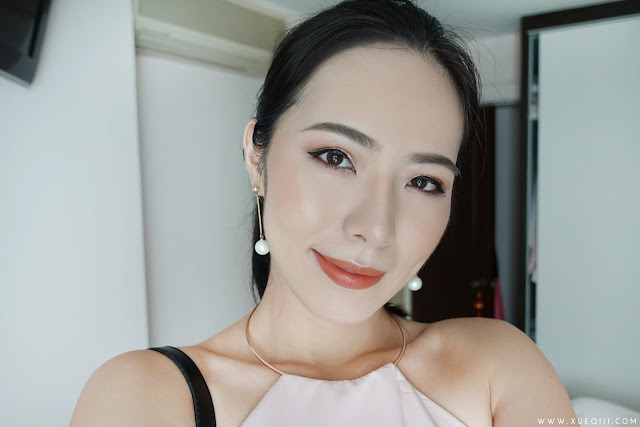 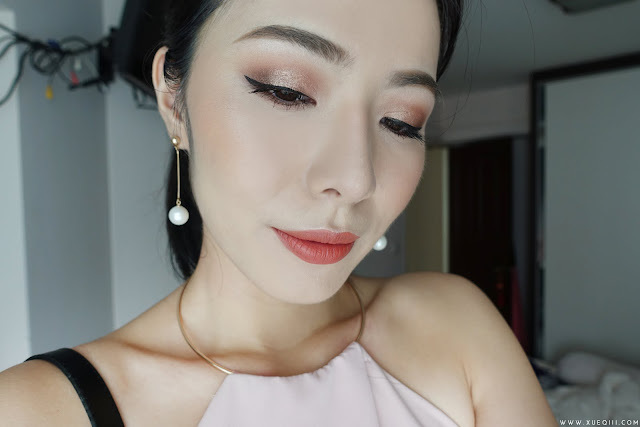 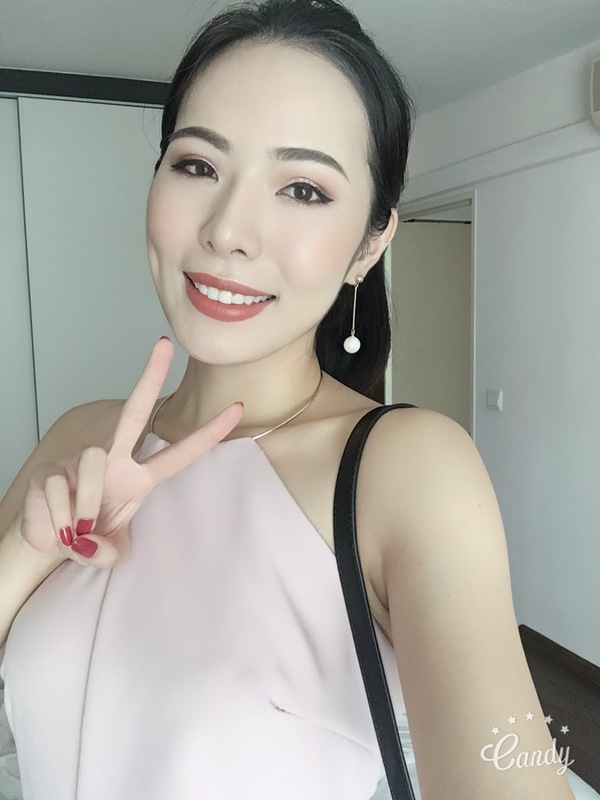 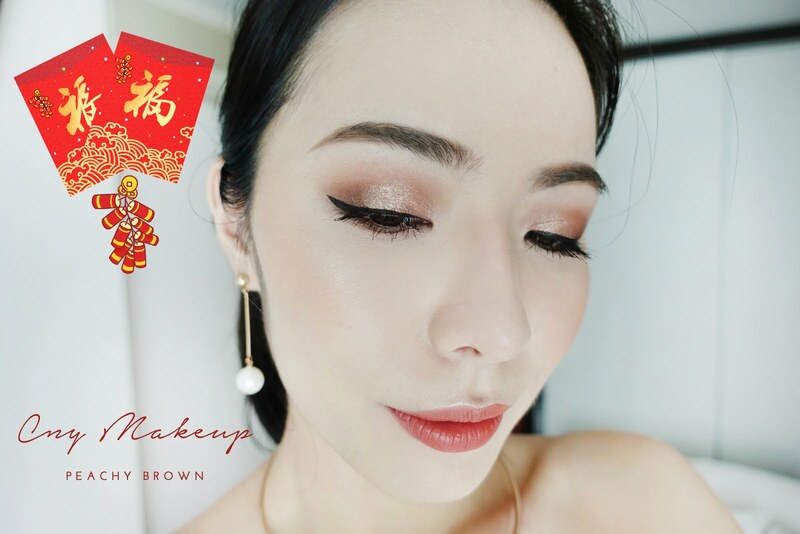 I'm back with a quick makeup look I did for visiting on Day 1 of Chinese New Year. 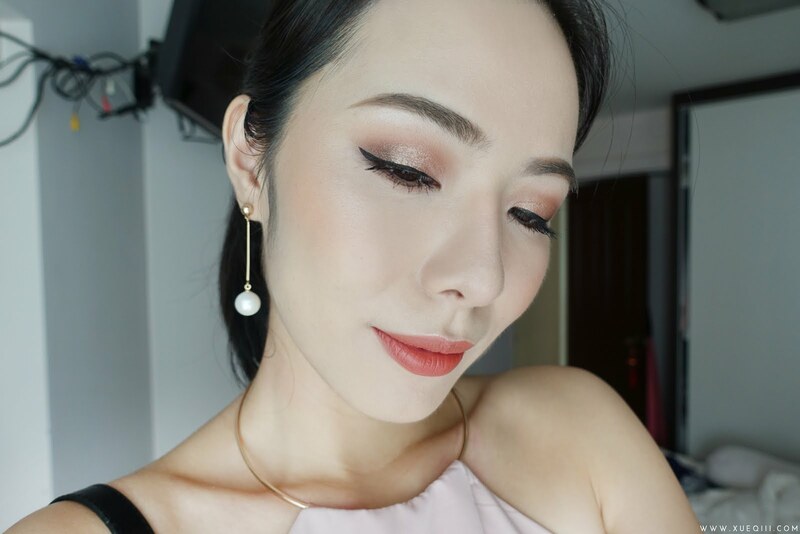 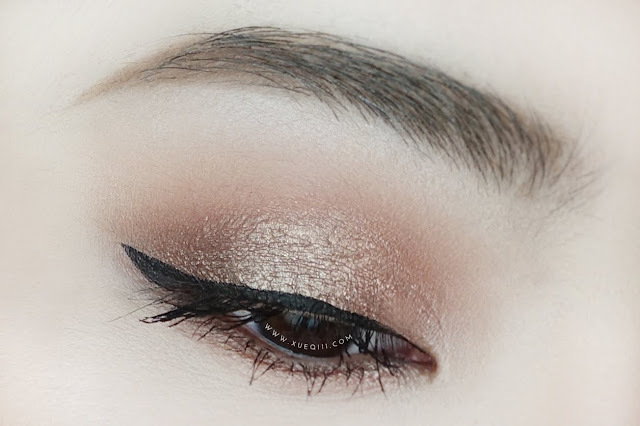 A peachy brown look with warm peachy lips and shimmery lids. 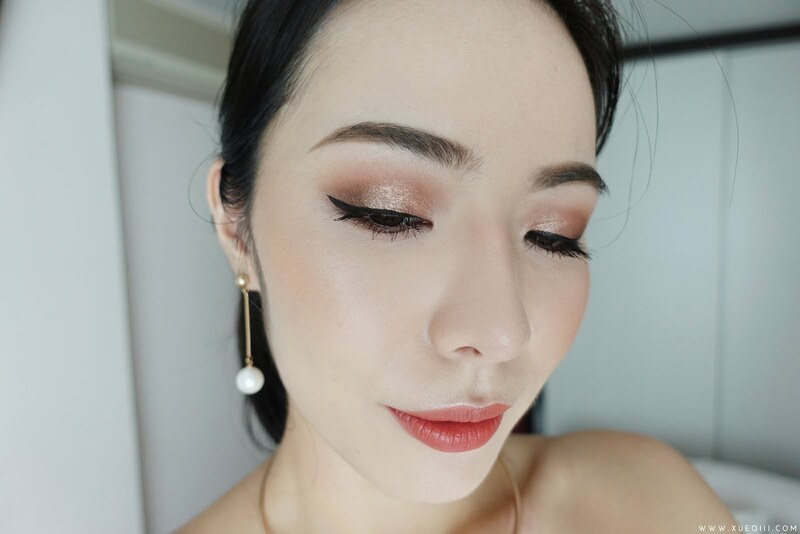 pardon my wonky liner ..
What makeup look did you rock this new year?